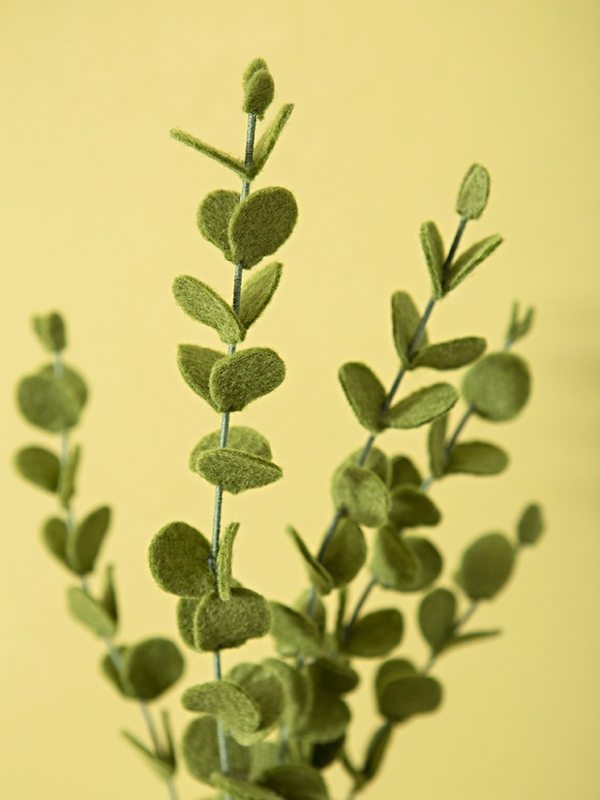 How To Make The Lovely, "True Blue" Eucalyptus Out Of Felt! 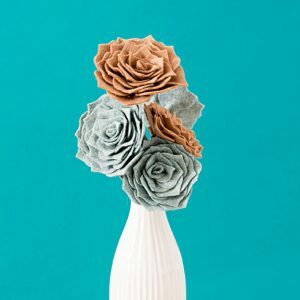 It’s the fourth day of Felt Flower Week which means it’s almost over and we’re just one day away from sharing our gorgeous DIY felt flower wedding bouquet and boutonnieres! But this week is extra, extra special because we’re cutting all our petals and leaves using our amazing Cricut Maker! Never before have felt flowers been SO easy to make. 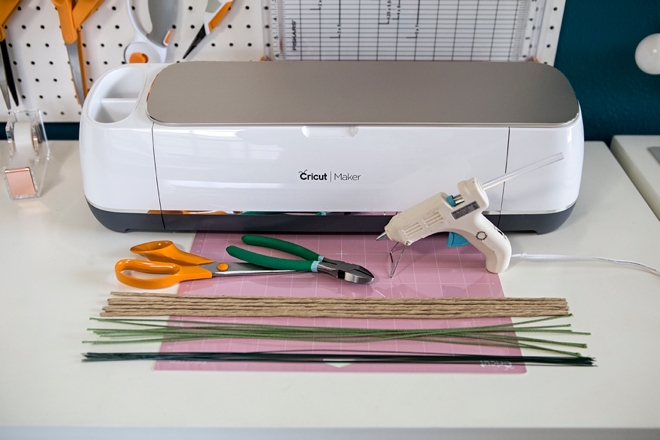 No longer do you have to sit and cut out petals for hours upon hours, instead let the Cricut do all the hard work for you! Today in our shop we’ve released all our past felt flower designs as Cricut .SVG cut files, and today’s design of course. 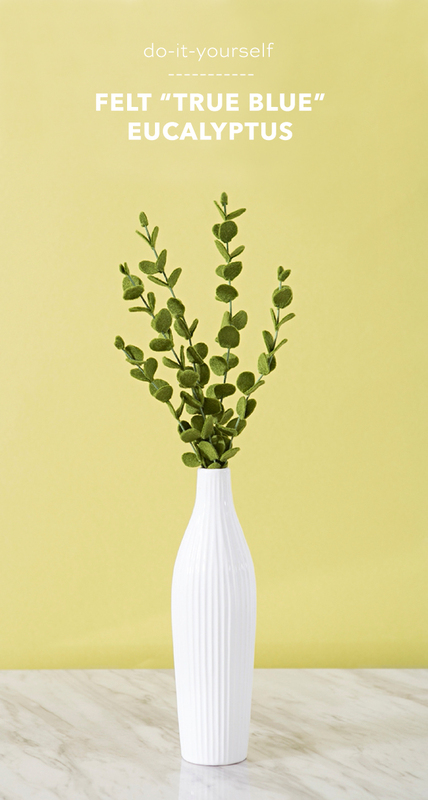 Stop by the shop to purchase your True Blue Eucalyptus pattern and other past flower favorites for only $1.99 each! 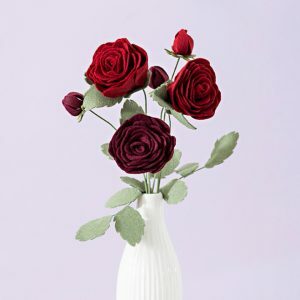 In talking about handmade flowers – I’m singing the praises of felt. 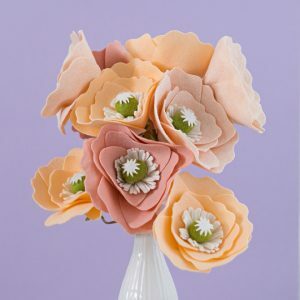 Unlike paper, felt flowers are thick, sturdy and can withstand all that your wedding day could possibly throw at them. Paper can rip and crumple in a flash – but not felt! 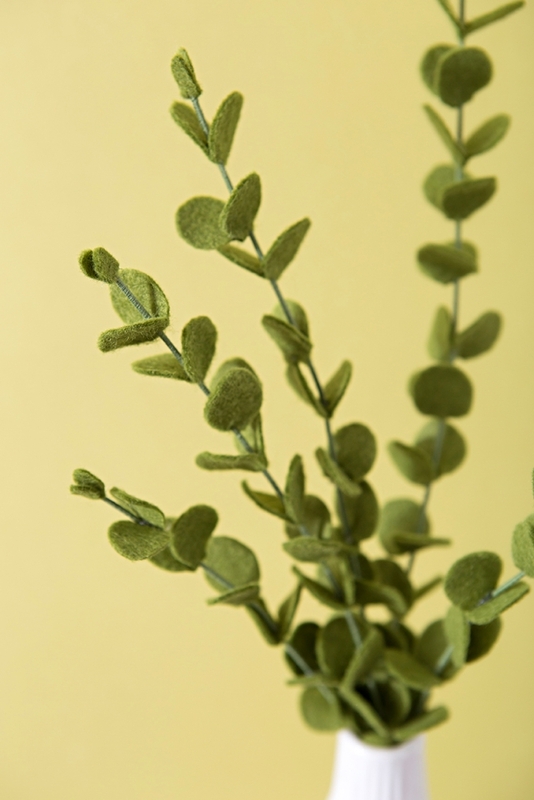 There is something so old-school crafty about felt… and I just love it. 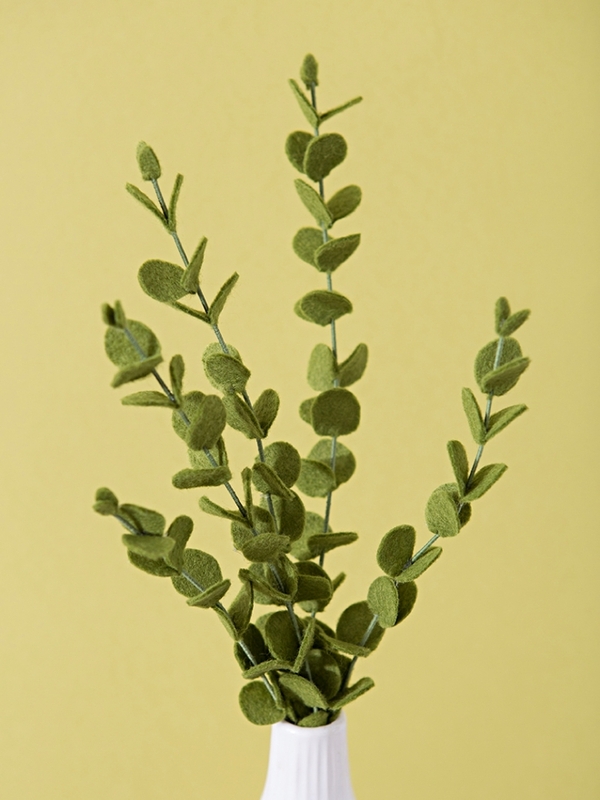 So without further ado, here is this weeks fourth felt flower design – true blue eucalyptus. Our True Blue Eucalyptus leaves .SVG cut file! For the True Blue Eucalyptus leaves I used Moss. 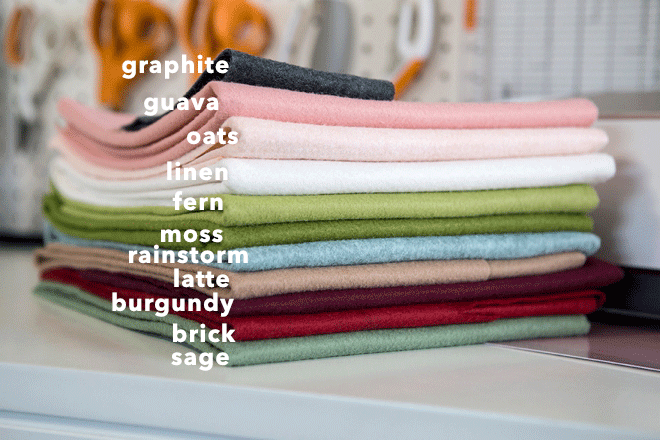 Find this exact felt and many more colors at Benzie Design. You can drag to resize this file larger with no problem, if you shrink this file at all the tiny tip leaf won’t cut properly. 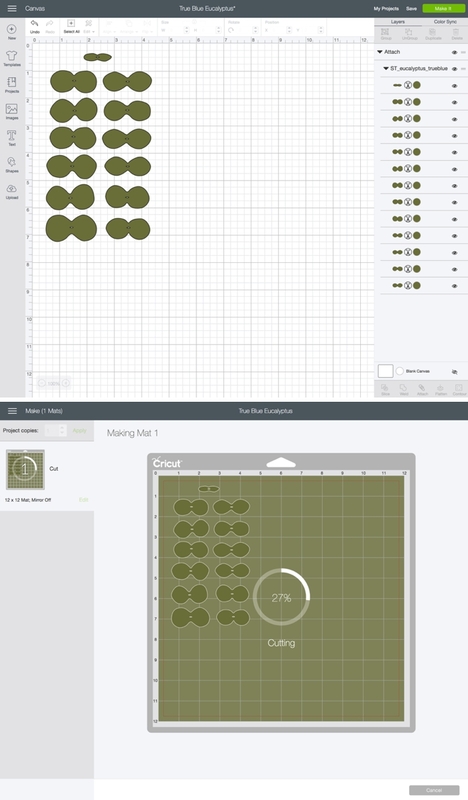 Add the felt to the Cricut Fabric Mat, click to load the mat and press Go! 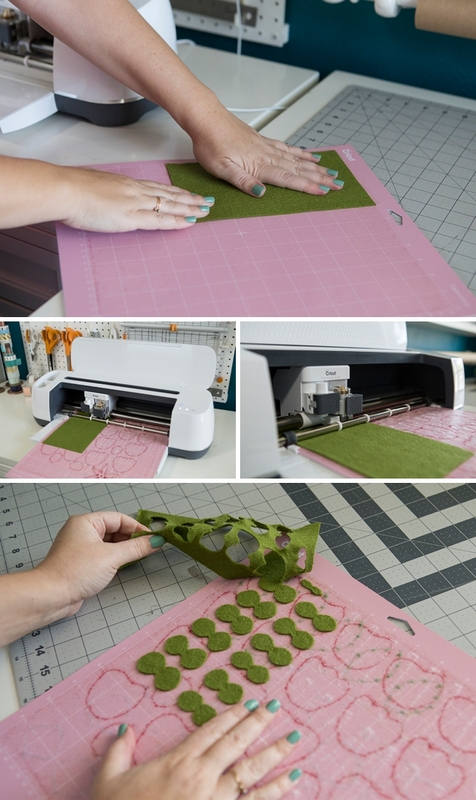 Carefully remove the excess felt and all leaf petals. 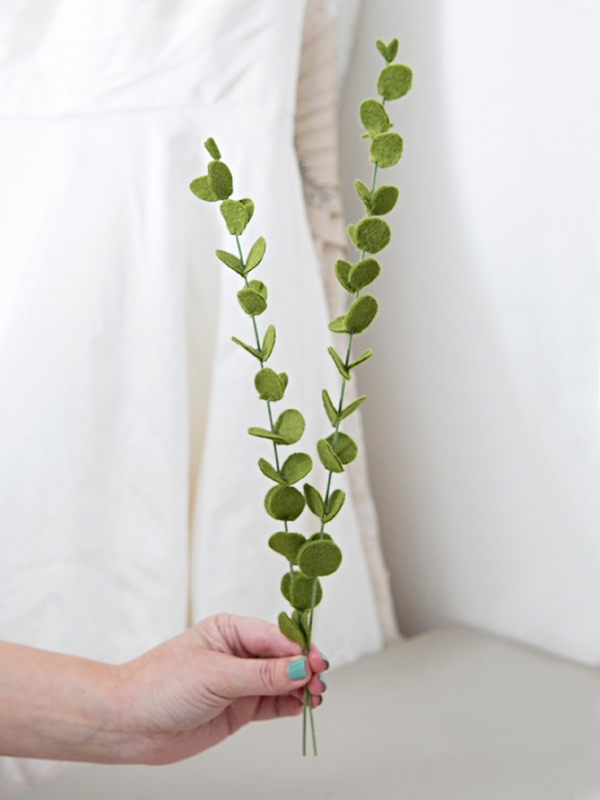 You’ll have 1 tiny tip leaf and 12 leaves that slightly vary in size. 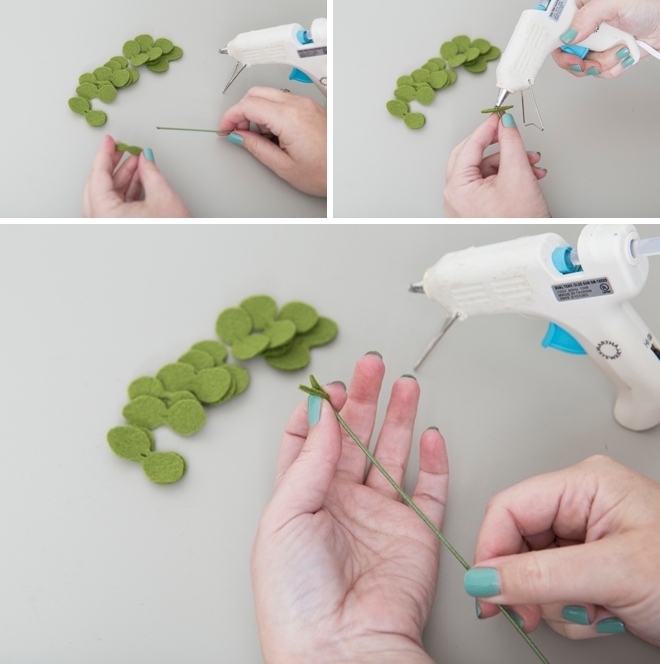 Add the tiny tip leaf to the very tip of a floral wire, add some hot glue and pinch it until the glue cools. Thread all 12 leaves onto your floral wire. Then one by one, add a bit of glue and pinch until cool. 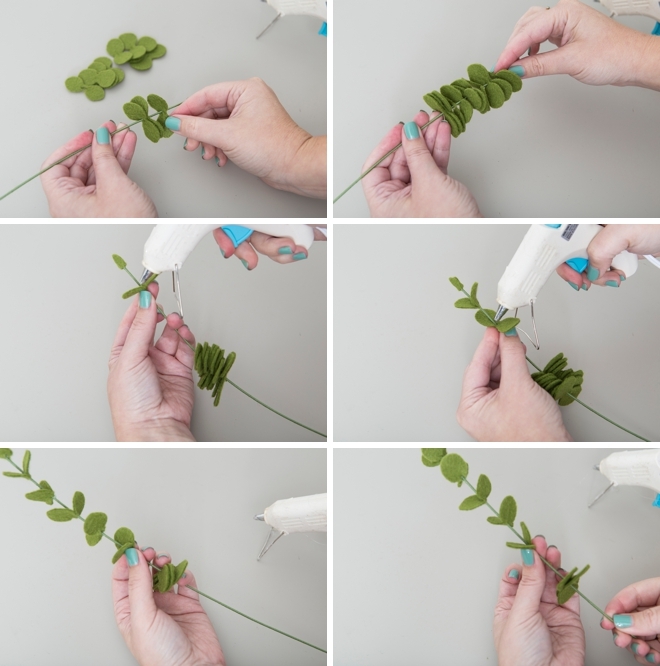 Do this about every 3/4″ until you’ve added all 12 leaves! That’s it, make as many stems as you’d like.